Himachal Pradesh a land of gods & divines. 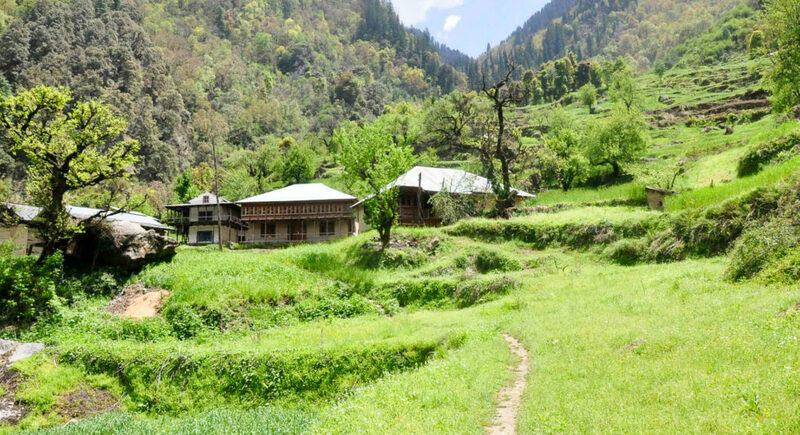 Himachal Pradesh has a scenic beauty of natural hills, valleys, natural forest, rivers and divine places. The divine beauty of Himachal pradesh and its mesmerizing hill tracks is the ideal place for the seeking a peaceful and relaxing retreat. The meditation retreat organized at the Dhauladhar range of the Himalayas in Bir which is a small mountain town in Himachal with the essence of Buddhist spirituality. This is a divine retreat which includes Buddhist practices of chanting and meditation. The day starts with the meditations, chanting, and cakewalk in the hamlet. But practicing with a view of the gorgeous Dhauladhar range of mountains is a mesmerizing experience. Also, one day spare to catch an aerial view of town by paragliding at Billing. On board a push back seat vehicle for the journey towards Bir. Refreshments on board. En route stop for dinner. Overnight in the vehicle. Arrive and check in. Afternoon opening circle with the whole group. Evening fire ceremony with some chanting. Morning yoga asana practice. Enjoy a full breakfast and then out for a short hike along the villages. 2-3hrs of walking. Meditation session during the walk. Picnic lunch. Evening restorative asana practice after return. Enjoy a dinner of traditional Indian satvik food. Early morning drive out for a trek in the mountains. 4-5hrs of walking. Enjoy chanting, meditations and other simply rejuvenating practices during the walk. Picnic lunch. Walk back to the car. Evening closing fire ceremony. Special dinner. After a morning yoga asana session drive to Billing for paragliding. 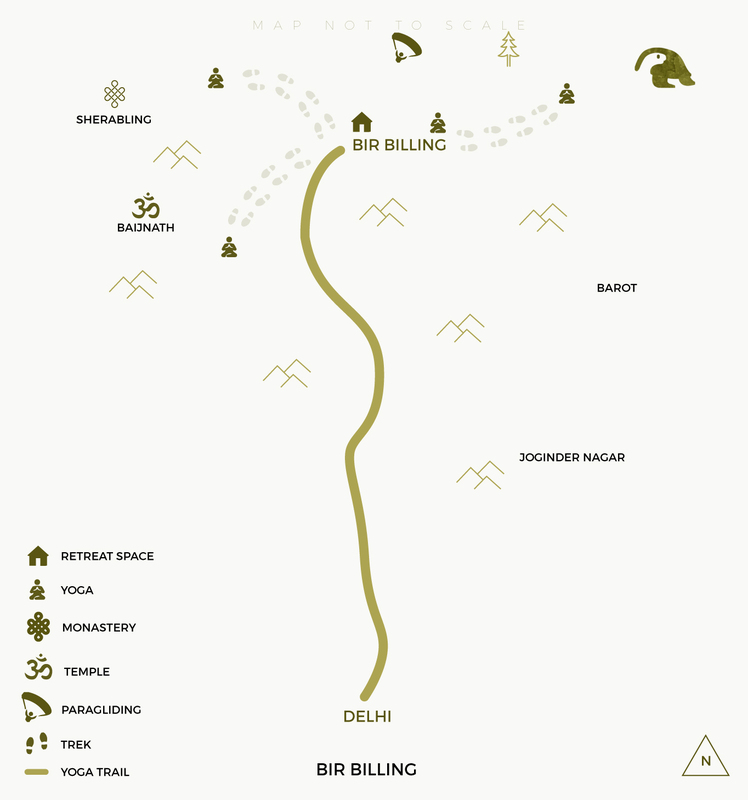 Alternatively, accompany the group to Billing and enjoy a trek back to Bir through the forest. Stop at a small temple en route. Enjoy a picnic after the paragliding. Evening practice of Yoga Nidra. Evening closing fire ceremony. Special dinner.